Some people are looking for a spirit to slap them around a little and make their heart skip a beat. Others are looking for a somewhat more refined and sophisticated experience. To those people we suggest stopping the search and sipping some Jewel of Russia Classic Vodka. Even at room temperature, Jewel of Russia Classic Vodka is so silky smooth it will enter your palate barely making an impression. It then makes its presence known by completely filling your mouth with warmth and spice. 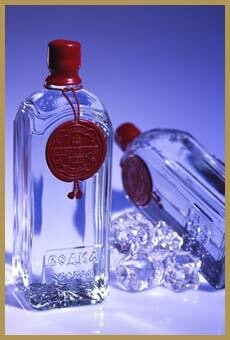 The vodka has a crisp, dry character, a full, rounded body and a clean, spicy palate. The finish is huge, warming and long-lasting. This is a skillfully crafted spirit. It is made in a classic Russian style from hardy winter wheat and rye, and deep, artesian water. The spirit is distilled in state-of-the-art continous stills and filtered numerous times through a high absortion process. Chill Jewel of Russia and it becomes as stealthy as the KGB in an Fleming novel. For those of us who are truly enamored with Russian vodka, this is the real deal.